The first church in this area, known as Lannahassee, was established before 1840 and met in a wood frame building with dirt floors. It was served by a circuit rider and met monthly. 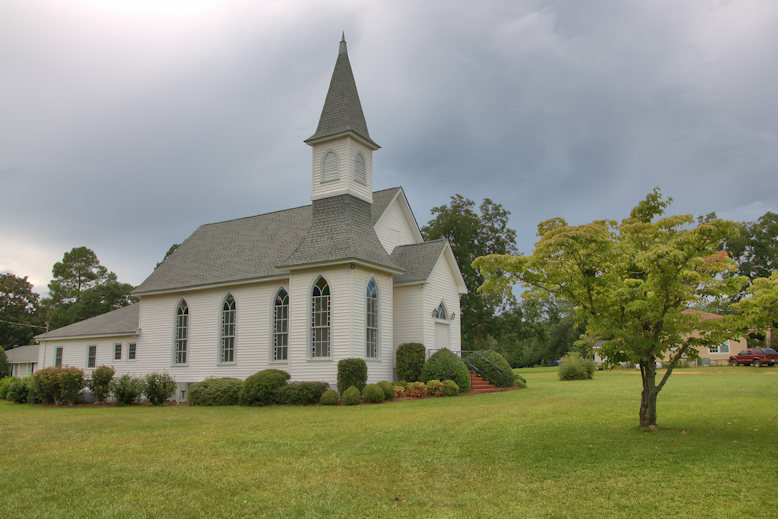 Around 1840, a wave of settlers came from South Carolina and the church became interdenominational. Theological disagreement soon arose and the Methodists began meeting in the courthouse until they moved into another frame structure, where they met until the present church was constructed in 1895.